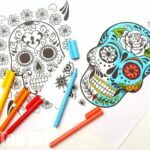 The Day of the Dead in early November (usually the 1st (for children) and 2nd of November (for adults)) is a tradition first started in Mexico, but now often celebrated in other Spanish speaking countries. It is the day to celebrate loved ones who have gone by, to remember them, talk about them – think about the nice and funny things they did. 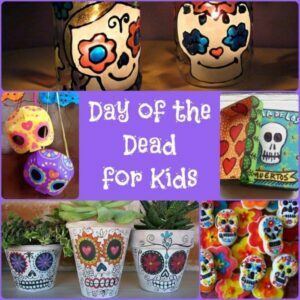 Families, will build small shrines in their homes, adding sugar skulls, bright marigolds and personal items of those passed away. The intention of the day is to encourage the departed souls to visit, so that they can hear you talking about and praying for them. Both the kids are currently very “obsessed” by death. We are lucky that nothing “bad” has happened, but the grandparent’s much loved cat died in the Summer and the event had made the kids think about it (I am relieved what we get to handle this tricky topic in light of the cat’s death). We get lots of questions about “will you die one day, Mummy?” and “Will Granny die soon?” and “Do I have to die Mummy?”. I answer as truthfully as possible, which is basically “yes, but it is all a long long time away”. Red Ted (5.5yrs) on right, has a mustache and whiskers, Pip Squeaks (almost 4yrs) in the centre, is “full of bright colours, Mummy” and mine is the one at the end – I did it as a “sample” for them. 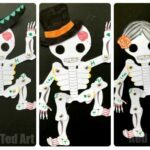 The Day of the Dead coming up seemed an opportunity to talk to them about how you can remember loved ones that have passed away. 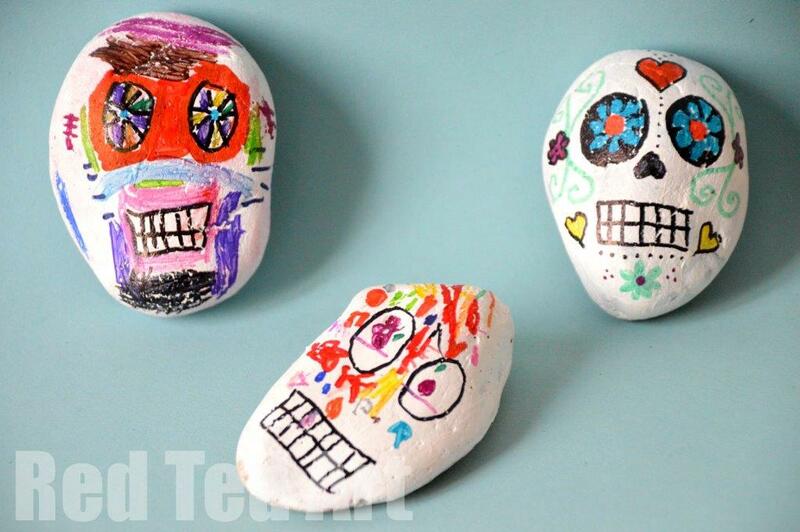 So we had a go at decorating our own “Skulls”. 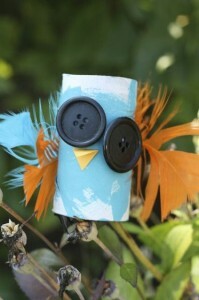 This of course, also doubles up as a Halloween craft, if you so wish. After all there are close links. 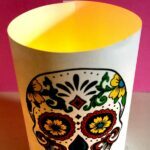 I told the children, that the idea is to make the skulls look bright and cheerful. 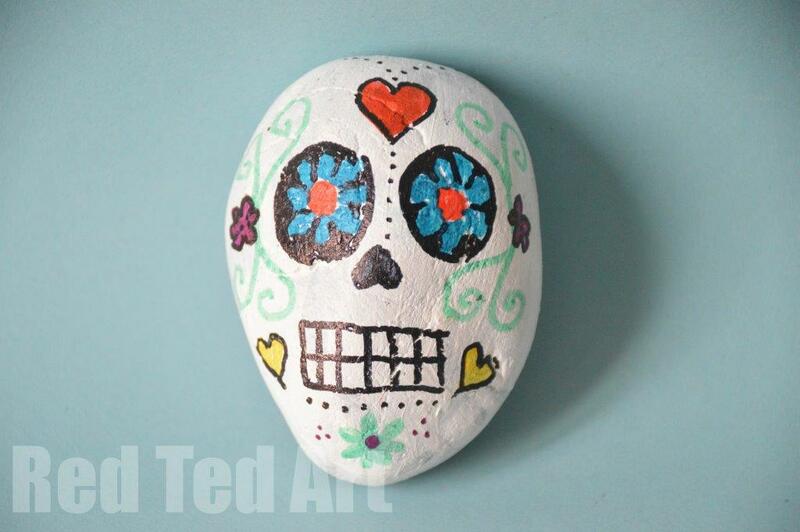 1) First we painted our stones white and let them dry over night. 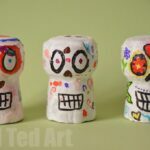 2) Once dried, I added the two circles for eyes and a the teeth for the kids – so they had a “basis to work from” and then let them go wild with our coloured sharpie pens. 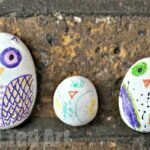 It was an interesting process – it felt a little like doodling (similar to our doodle owls). And I thought that that was a very fitting process. You mind is allowed to wonder and you have an opportunity to think about the person who has died. You can choose colours that they liked and add details that means something about them. 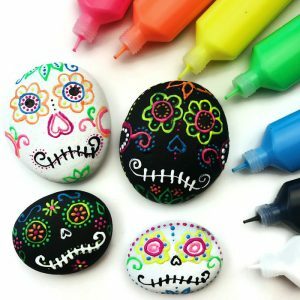 If you want to make Sugar Skull Rocks like a pro, check these out by the wonderful Color Me Happy! 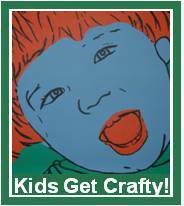 Each week I feature a different blog from the Kids Get Crafty linky (below). 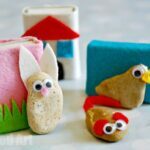 This week’s featured blogger is the fabulous Jackie from Happy Hooligans with their adorable Owls! Love them! 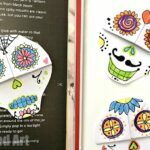 Thanks for sharing such a nice DIY Craft.